I received an email today from Bruce Lidl about an ambitious project by Sony and Intel. Over the course of the next few months, 8 students assisted, by Tom Atchison and the Rocket Mavericks team will attempt to design, launch and operate a rocket using new SonyÂ® VAIO notebooks.. 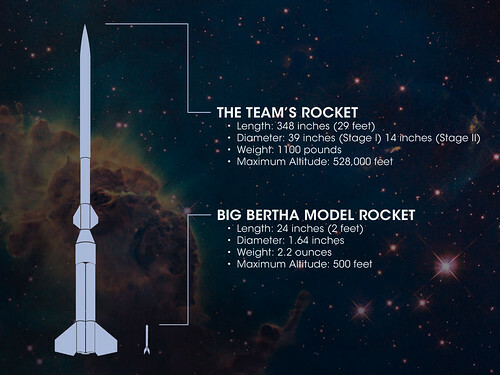 The project aims to launch a 29 foot-tall, two-stage rocket to 528,000 feet or 160km. It's a big project and the students involved look truly excited by the challenges involved. You can only be inspired by this and wish them the best of luck! Thanks for the email Bruce.